Marinate the chicken cubes in the WORLDFOODS Tomato and Onion Indian Chutney. Head up olive oil in a pan and cook the red pepper and onion till soft. Add the marinated chicken and cook till the chicken is cooked through. Roll out the frozen puff pastry and in half lengthwise. Fill each with the chicken filling and roll up so that it's sealed. 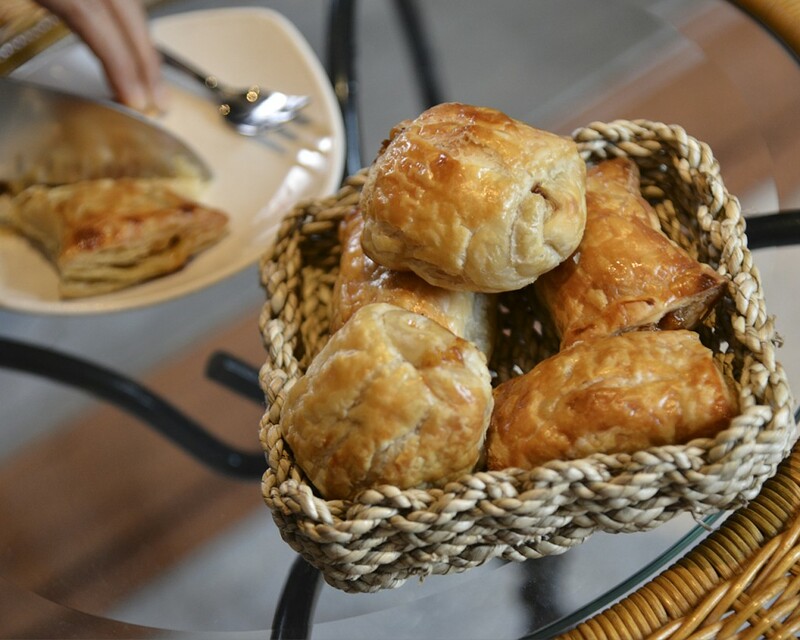 Brush each pastry with the beaten egg and bake in the oven at 170°C till brown. This can take 15-20mins.